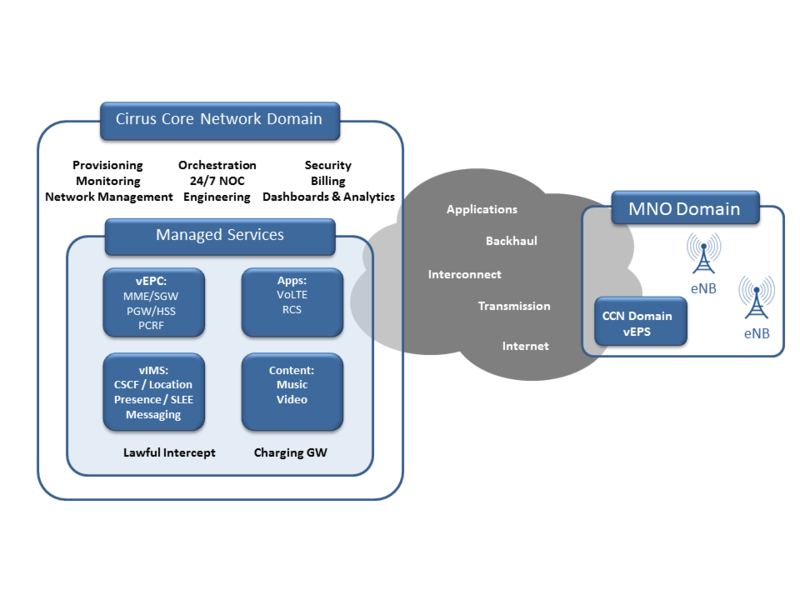 Situational Analysis: This use case is specific to new wireless license holders, regional or small MNOs, and MNO groups with geographically dispersed operators who need to add packet core and/or IMS/VoLTE/VoWiFi. Lack sufficient in-house LTE and/or IMS engineering expertise. Need a minimal CAPEX and low OPEX solution that can get them operational in a matter of weeks. “Pay for what you use” for minimal CAPEX in deploying the solution and low usage based monthly OPEX. EPC, IMS and additional required backhaul are expensive on both the CAPEX and the OPEX side. The Stratus® operations and business support system to allow quick access through an easily configurable Dashboard. Fully managed service enabling commercial operations in a matter of weeks. The scalability and flexibility of the solution enables deployments closer to the eNodeBs thus lowering backhaul. Real-time and historical network information is at your fingertips….quickly!